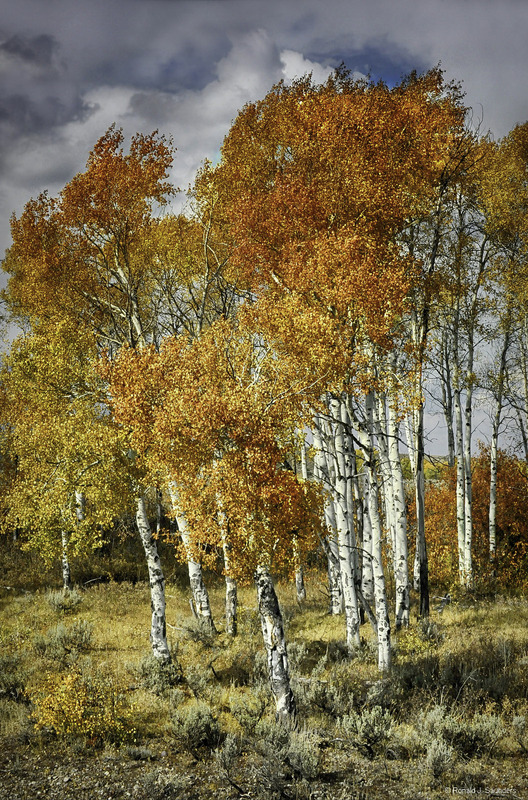 This is one of my favorite Aspen images. I ran across this group of trees at the best time of day. I am always searching for the nicest grove and this one tosses in a nice sky and leaves lit by the sun. Photo © copyright by Ronald J. Saunders.